When I married my husband 10 years ago, I inherited several large boxes of vintage comic books. 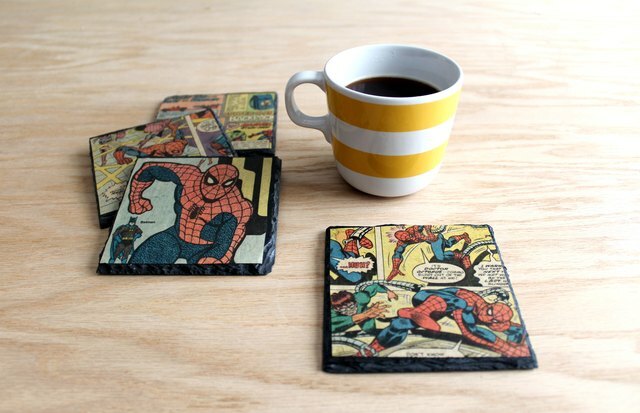 Those comic books have traveled with us to our various homes over the years. Thankfully, we have space for them now in our playroom closet! For this project, I wanted to create a special and sentimental gift that he could display on his desk at work — and he was thrilled with how they turned out! Requiring only $20 to make, you can't beat their budget-friendly price! 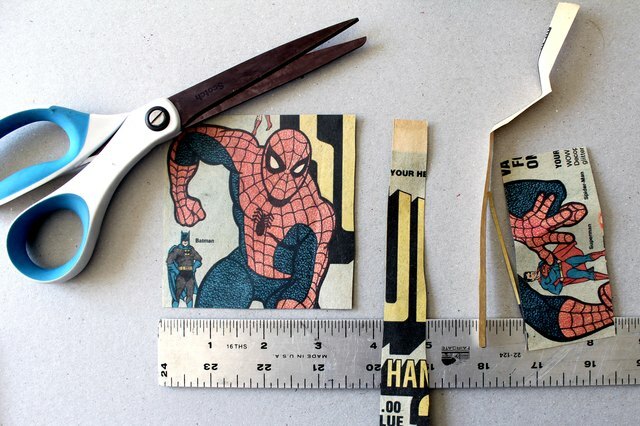 Recreate this project with a comic book strip, beloved photo, or coveted newspaper clipping. Vintage comic books can be found at local thrift or game stores. 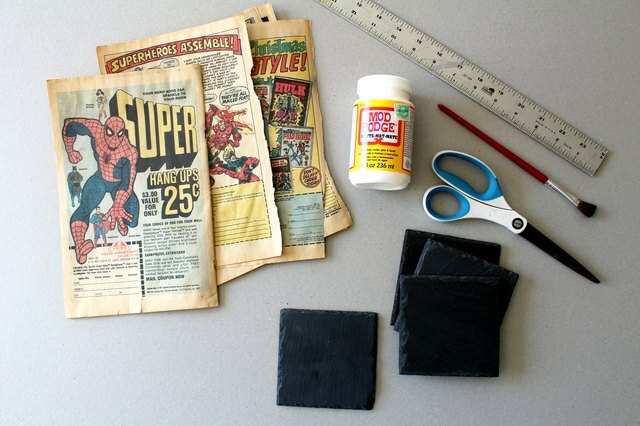 Look for comic books with tears or loose covers that you won't mind taking apart. 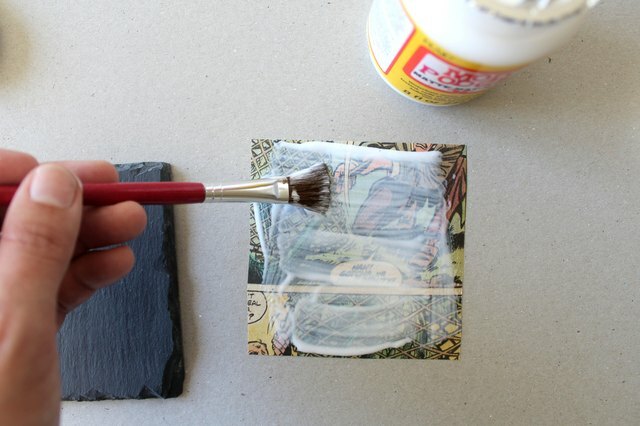 If your slate tiles are 4-inch squares, cut the papers down to 3 1/2-inch squares to fit the inset on the slate coaster. As a general rule, cut the paper down to 1/2 inch smaller than the slate tile you're using. 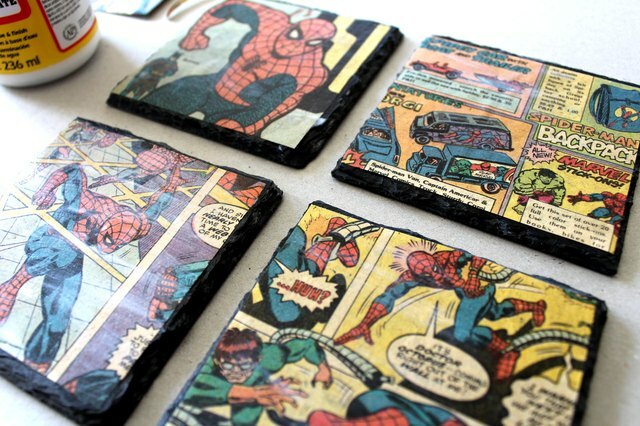 Apply a layer of Mod Podge to the back of the comic book square, then press the glue side onto the slate tile. 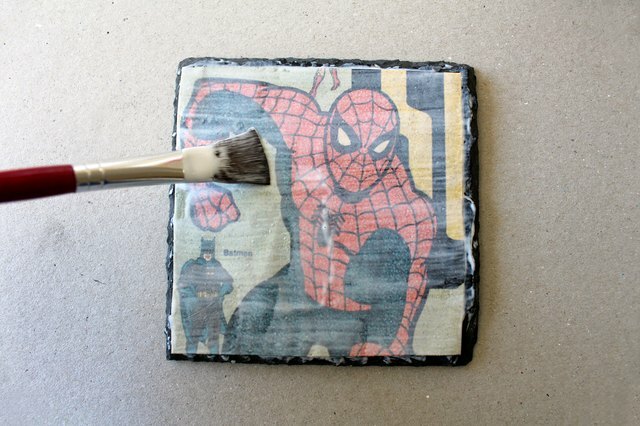 Don't worry about excess glue — you can easily wipe it off and it will dry clear. 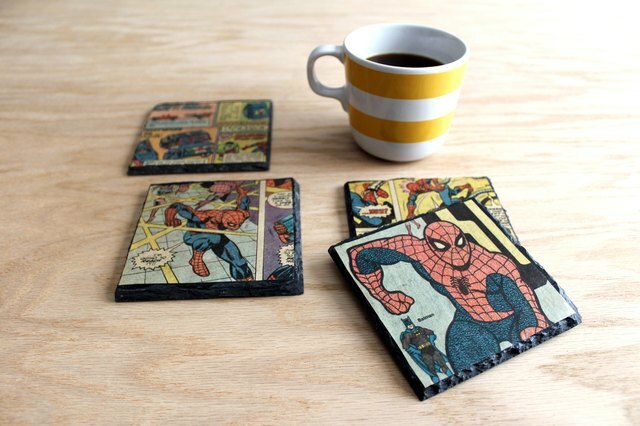 Using a small paintbrush, apply a thin coat of Mod Podge over the comic cutout and slate coaster. After the first coat dries, add one more coat of Mod Podge. 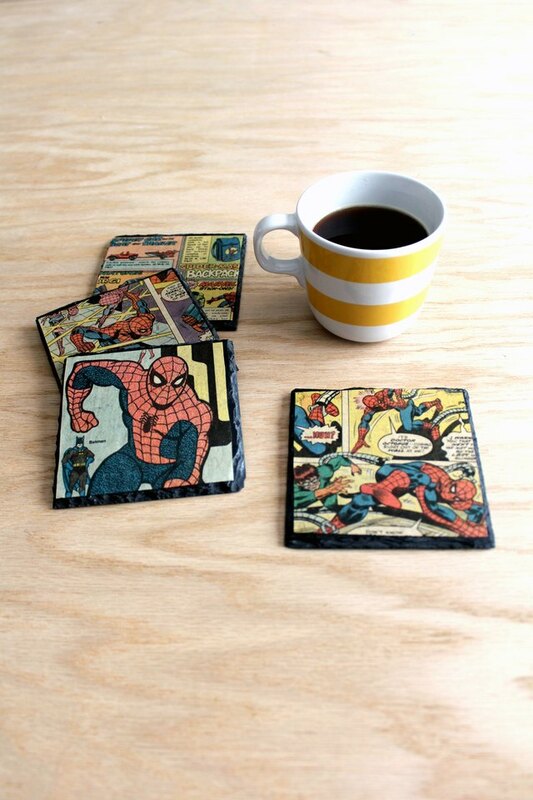 To make the coasters fully waterproof, add a coat of clear acrylic sealer (found at local craft supply stores). This fun project takes less than an hour to make, costs about $20, and results in a one-of-a-kind gift for your loved one. 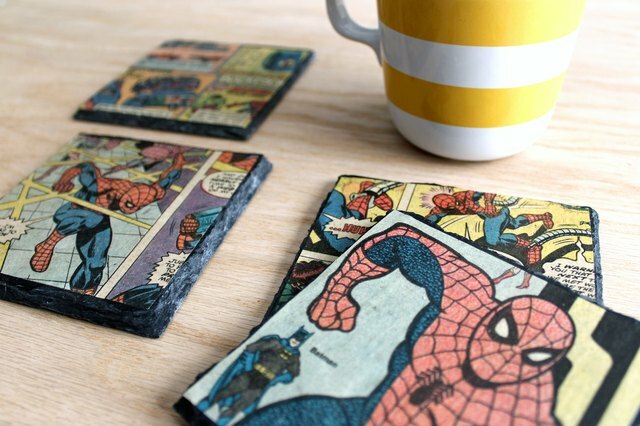 The theme options are endless when it comes to comic books, and kids will have fun helping make these. Happy crafting!